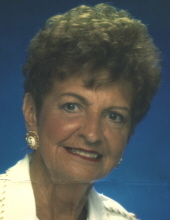 Marlene K. Morel, 86, of Fostoria, passed away on Thursday March 28, 2019 at the Bridge Hospice Care Center, Findlay, surrounded by her loving family. Marlene was born on August 11, 1932 in Fostoria, Ohio to the late Geraldine (Kline) and William Phillips. She married Leo Morel on January 10, 1953 and he preceded her in death on October 2, 2002. She had four children, William C. “Sandy” Morel (deceased 2015), Mrs. Terri (Bud) Williams, Fostoria, Mrs. Kathy (Mike) Brose, Risingsun, and Michael Morel, daughter-in-law, Dolores Dillon; grandchildren, Chris Morel (Linda), Tiffany Morel (DJ), Kelli Morel, Shawn Carley (Brenda), Jamison (Karmin) Williams, Jerilyn (Ryan) Griffith, Jeremy (Suzanne) Williams, Holly (Dave) McCune, Heather (Jon) Lengerich, Heidi (Rob) Marshall, Haylee Brose (Tral),Levi Morel (Vanessa),30 great-grandchildren, 1 great-great grandchild; and a brother, William C. Phillips, Florida. Marlene was a 1950 graduate of Fostoria High School and went on to receive her nursing and x-ray training through Dr. Gerlinger in Fostoria, Ohio. Marlene was well known in the community as a nurse for Dr. Fox in Green Springs, Ohio and Dr. Lowell Good and Randolph Gibbs, both in Fostoria, Ohio. Marlene had an impeccable sense of fashion and style and ran the “unique boutique” out of her home in Risingsun, Ohio for several years. Marlene loved Florida, which she called home for ten years. She also enjoyed dancing and music. Funeral services are private and are being handled by HOENING & SON FUNERAL HOME 133 W. Tiffin Street, Fostoria. Burial is in Fountain Cemetery. Memorials in Marlene’s name are suggested to the Bridge Hospice Care Center, Findlay. To send flowers or a remembrance gift to the family of Marlene Kay Morel, please visit our Tribute Store. "Email Address" would like to share the life celebration of Marlene Kay Morel. Click on the "link" to go to share a favorite memory or leave a condolence message for the family.